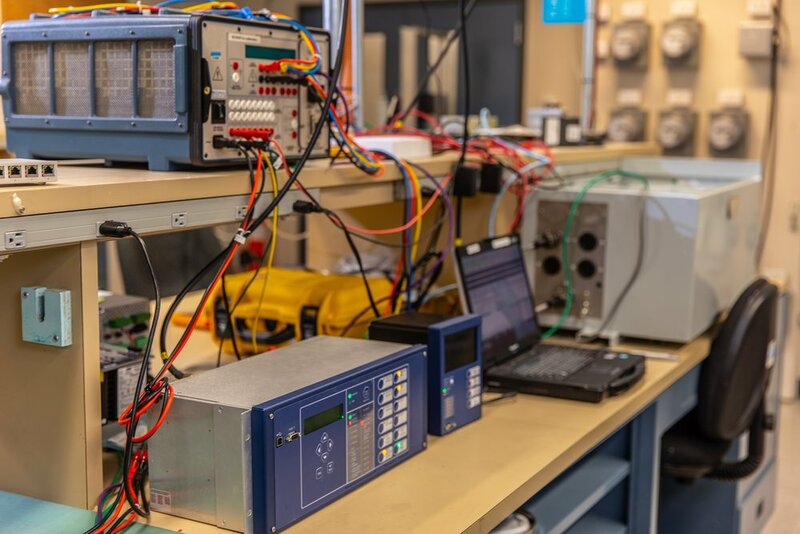 Powertech Labs is offering a new service to design, simulate, and test direct transfer trip for microgrid implementation. The rapid development of distributed energy resources (DER)—such as solar photovoltaics, wind energy, battery storage, and hydrogen and electric vehicles—is revolutionizing the energy industry. For utilities, one common challenge in the proliferation of DER is to ensure the proper management of the microgrid in protection co-ordination with the utility grid. For example, microgrids are usually located in remote or rural areas and connected to the utility’s long radial distribution feeders. In these configurations, when a fault is detected by the utility recloser, the recloser should send a protection trip signal to the microgrid controller to disconnect the microgrid from the system. This direct transfer trip (DTT) prevents the microgrid from islanding with the utility’s downstream feeders. Simulation of microgrid, DER, and protection schemes using Real Time Digital Simulation (RTDS) to confirm the DTT control scheme for both the microgrid and grid-tie (where applicable).